My pants are tight. Snugas a bug in a rug, people. And does pinterest show me carrot sticks or offer to run with me? Oh no. 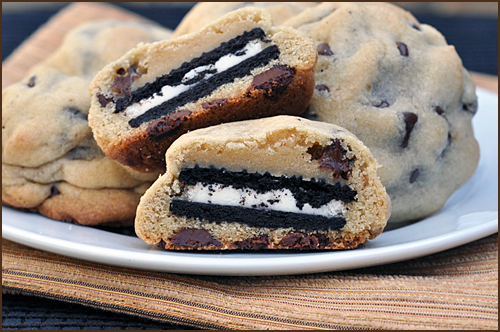 Instead, they call my attention to cookie recipes on pinterest involving Oreos stuffed inside two chocolate chip cookies.My advice to you – make these. But make them right before you’re meeting a friend, dinner party or work meeting. So you can pawn them off on other victims recipients. Preheat oven to 350 degrees.In a large bowl, cream butter, brown sugar, and granulated sugar together with a mixer until well combined. Beat in eggs and vanilla.In medium bowl mix the flour, salt, and baking soda. Slowly add to wet ingredients along with chocolate chips until just combined.With a cookie scoop, form balls with the dough. Place one ball on top of an Oreo cookie, and another ball on the bottom. 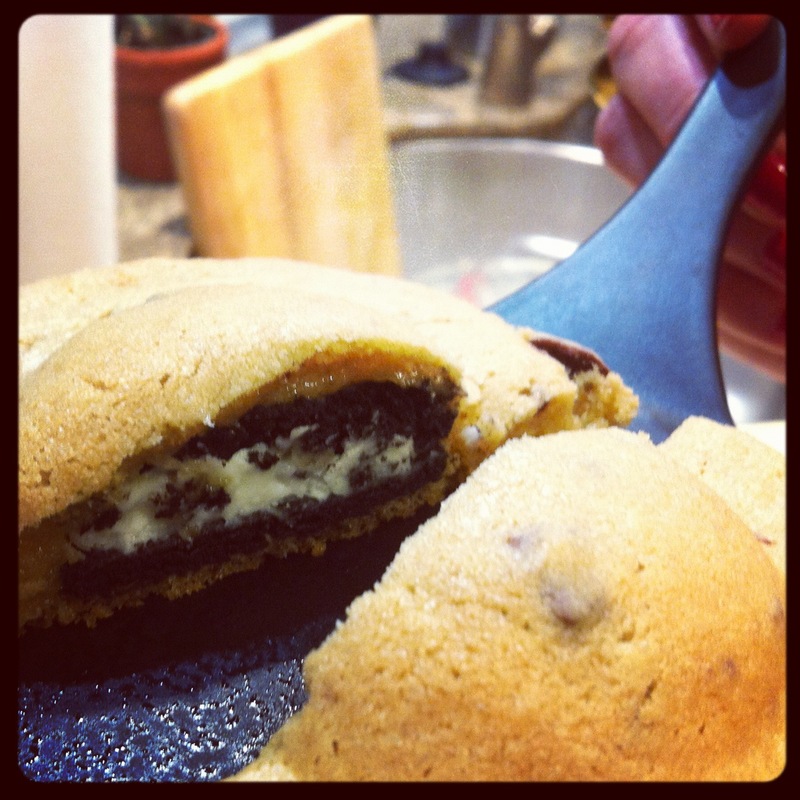 Seal edges together by pressing and cupping in hand until Oreo cookie is fully enclosed with dough.Place onto baking sheets and bake cookies for approximately 13 minutes or until golden brown.